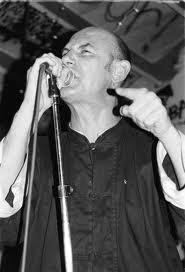 Steve Ignorant was one of the original founding members of the English punk band CRASS, alongside a slew of people including Penny Rimbaud, Joy De Vivre, GeSus , Eve Libertine, and more. Through their music, the band was an active force of radical politics and positive movement putting out the bulk of their catalogue during the years 1977 - 1984. 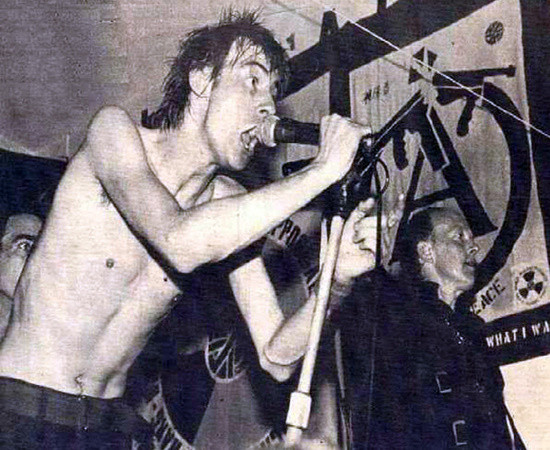 CRASS officially disbanded in 1984. 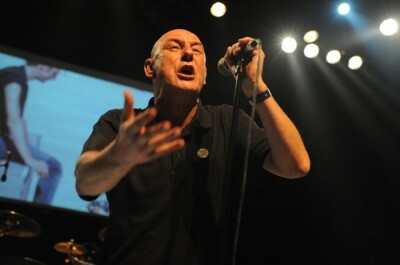 In 1996, Steve Ignorant became involved as singer in the band Stratford Mercenaries, which included members of the Buzzcocks and DIRT. They were known to perform at least a couple CRASS numbers when they played. This interview was conducted during the summer of 1998 by me and my friend, Matt Vaccaro. It was originally slated for release in issue #4 of my zine called Systematic Death. I don’t know if we realized at the time how cool it was getting to interview the very influence to the title of my zine, not to mention getting to interview one of the most important contributors to the punk rock scene ever. This was huge for me. I was only eighteen years old and already I was interviewing my heroes! Sadly this interview was never published for reasons I don’t quite understand in my present condition, and it stayed buried for 15 years! I do not know why we never made it to releasing issue number four. Time has taken care of all of that, but I still think that the interview should be put out there. It is still sort of relevant and also stands as a time capsule for all that has come after. Back in 1998, I was a pretty active participant in the punk scene. I was co-front man of a band called the Waifs (Matt played bass) and we were playing around the local venues. Immediately after high school was over, Matt’s parents let me move in to the band's rehearsal space in the back of their house in Pasadena. I was interviewing bands, reviewing shows, promoting shows, and putting together a collection of original writing material from my friends and my own stuff for the zine Systematic Death---- Oh, I remember. I had to start college in the fall at Cal Poly Pomona and somehow this just completely dislodged and alienated me from everything I was trying to do out of my home base in Pasadena. Not having any way to be mobile all the way out in Pomona disrupted my creative rhythm. Somehow I never got back to that place of writing and managing a small zine, except on the level of putting out small collections of my own poetry and writing in small printings. So I guess this is my way of getting back into the game of writing what I see, interviewing interesting people, having journalistic intentions all aimed at making documentary films in the end, and capturing the moment. 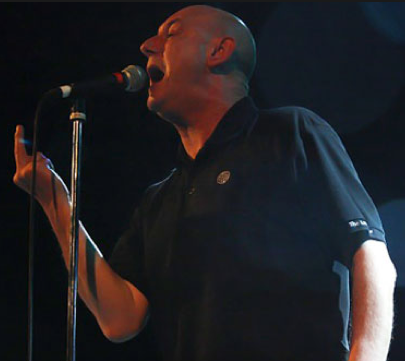 Most recently, Steve Ignorant was back in L.A in April 2011 with a band that was supposed to represent what CRASS meant to Steve. However, no other original members were included except for Steve, but the band performed CRASS material and they called it The Last Supper tour. It happened all over the world from 2007 on. Flash backward to 1998 and here we go to the original interview…..
Gabe: All right. So, first question. Other than playing with Stratford, what are you doing now? Steve: I’m working with blind people, in the sense of just being with them, learning about them. One of them is a pianist, so he’s helping me to play piano. So it’s like a two-way thing. 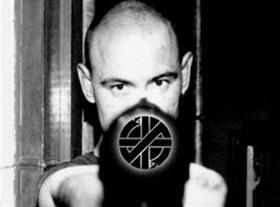 Gabe: What were some of your early influences when you were playing with CRASS? Steve: Joni Mitchell, Aretha Franklin, Nat King Cole, David Bowie, John Lennon, Marvin Gaye, Dionne Warwick, and any educational music. Gabe: Can you tell us something significant about your childhood? Something that made you pursue the kind of life you wanted? Steve: Yeah. I think I saw the mistakes my brother and sister made and decided I didn’t want to go that route. I didn’t want to end up just a husband on a dreadful project, or a housewife on a dreadful project. I wanted to see the world and meet people. Every day you’ve got to learn that by giving, even if it feels like it’s not worth it, sometimes it’s still worth going for. Gabe: In some of your songs like “Mother Love” from Christ the Album, it seems like you are talking about either your childhood, or birth and childhood in general. Steve: A bit of both really. I mean my childhood wasn’t as bad as some people’s, but some of it was pretty rough. You know, a lot of it I even hated. Music was a way of getting it out and I’m sure a lot of other people feel the same way. So you know what it’s like when you’re a kid. You can’t- you know something’s wrong, but you’re so young. You can’t rationalize it. You don’t know what it is. You don’t know what happened. It starts when you’re older. Then you think that’s why I’m fucked up, and that’s why I’ve been acting like this for 12 years. That’s why I have been hitting people. Gabe: Do you have a most memorable gig? Steve: Well, tonight has come pretty close. Steve: Oh yes… oh yes…Uh, memorable gig. Yeah, it’s when I was in CRASS and I think some guy brought down about thirty Down’s Syndrome children to the concert, and it’s the best concert I’ve ever played because they just went like, they’ve never been to a concert; they’ve never been to a party. And these people, Down’s Syndrome people, they are what we should all be like. We should have Down’s Syndrome’ as politicians. Gabe: What is the most pig-headed thing you’ve ever heard anybody say to you? We are stopped momentarily so that Steve can autograph a 7” for someone and no one can find a pen that works. They have all ran out of ink! okay on with the interview. Gabe: So how do you feel about being one of the most, you’re considered one of the most influential people in the entire punk scene you know. Playing in CRASS , still doing what you are doing now, and everything that you and the band accomplished is just incredible. How do you feel about your legacy? Gabe: Any kind of CRASS reunion, you think? Steve: Nope. Definitely not. Never. Definitely not ever. Gabe: All right. Any plans for the future, immediate or otherwise? Any plans for Stratford Mercenaries? Steve: Uh, yeah. In seven day’s time go home, be with my girlfriend, and just have a bath and a massage, some toast, a bit of TV, bit of love making- yeah that’d be nice. A walk in the forest, yeah and tell her I love her. At this point we were out of questions and didn’t know what to say. So we wrapped it up, shook hands, and if I would have thought of it at the time, I would have had someone take a picture of the three of us. Oh well, maybe next time. Steve: Great, sounds good to me. Steve: Let’s get the hell out of this town.